Barnsley College is launching a new employer engagement initiative to businesses across Yorkshire on Tuesday 10 November 2015. The initiative, Talent United, will bridge the gap between education and employment and will provide employers with the opportunity to shape a generation of work ready young people. Barnsley College currently works with over 2000 employers and Talent United will further enhance these relationships through collaborative partnerships. Employers are invited to share their experience, expertise and knowledge with the college’s young people and have a positive influence on the workforce of tomorrow. Through consultation, employers acknowledged that whilst qualifications are important, work readiness and employability skills are of equal importance. Talent United is a very flexible initiative. People wishing to offer support can give as much or as little time as they can spare. Even if a business can only dedicate half a day per year, this input can still benefit a young person, as well as the business. The initiative will give businesses recognition for their input in helping to shape the employees of the future. The college will provide an array of incentives to those who support Talent United, such as discounts on training and services, increased promotion, PR and advertising opportunities and business support. It will also arrange exclusive networking opportunities so getting involved is a real two-way relationship. 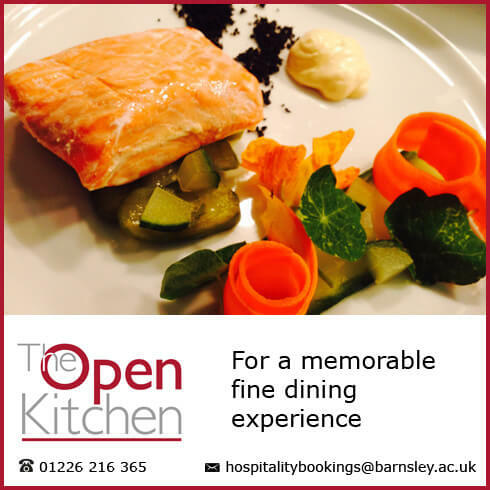 The launch on Tuesday 10 November 2015 starts at 8.00am until 10.00am, and will be held in The Open Kitchen at Barnsley College. The launch is open to all businesses and breakfast and refreshments will be served. To find out more about Talent United, to offer support to the initiative or to enquire about the launch event, contact Barnsley College on +44 (0) 1226 216 166.